After postgraduate study at Glasgow School of Art in the mid 1980s I began teaching in Historical and Critical Studies (Gender, Art and Culture) and working as a volunteer with a group of other women catalysed by the announcement that Glasgow was to become European City of Culture in 1990. We mobilized to ensure that there would be focus on women’s culture and creativity during this high profile festival and that the ‘re-branding’ of Glasgow should involve a movement away from Glasgow as a ‘masculinised’ culture, symbolically represented by the ‘Glasgow Boys’. At the outset, the work of Women in Profile was a productive, heterogenous grouping of women from non/academic settings, culturally diverse and of all ages. Glasgow Women’s Library (GWL) evolved from Women in Profile post 1990, reflecting the desire by women to have an information hub to grow and develop projects and ideas and be a focus for recording and preserving women’s culture in the city. I worked as a volunteer at GWL for the first seven years of its development leaving GSA to work full time at the Library in 2000. My role at GWL has been multi-faceted (fundraising, networking, events and project coordination, research, publishing). Alongside, I have undertaken academic research, (on poverty, gender and sexuality) including doctoral research on women, class and fashioning. 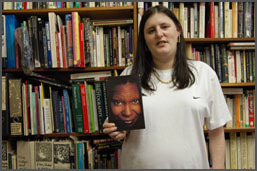 GWL remains the sole women’s library in Scotland. As such, sources of inspiration and support have come from international sister projects. Consequently, our work reflects models from India, Germany, South, Central, and North America and Japan. Our work resonates with local, national and international initiatives that bring women’s lives and histories to the fore through the agency of art-making and documentation. GWL has users, learners and project participants from the widest array of constituencies and backgrounds. Its collection (of over 20,000 volumes) consists almost entirely of donations and reflects the interests, achievements and activism of its users. Originating from the ‘grass-roots’ it has campaigned, researched, developed art and documentation projects on themes including violence, lesbian lives, young women, literacy, voting, poverty and equal opportunities through art-forms including video, photography, knitting, gardening and creative writing. It is currently being funded by the Scottish Executive to explore the possibilities of becoming a national resource. 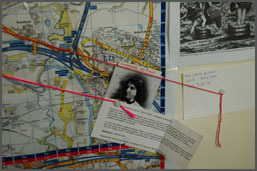 I am currently involved in facilitating a large-scale project ‘Women Make History’, launched in autumn 2006 that will run until at least GWL’s move into the Mitchell Library, the largest reference library in Europe, in October 2008. The project is being steered by a ‘Development Group’, open to all women. Over 100 women have been involved in the project to date, as fundraisers, researchers and in the planning towards the first women’s heritage walking tour of Glasgow, June, 2007. The project include the development of a mapping website that is the locus of information, stories and research. The group has developed links with a range of partners including Glasgow Museums, Glasgow Anti-Racist Alliance, Women’s History Scotland and three city universities. Participants include those accessing residential support for drug-users, an East End single parent initiative, academics, international women on placement – women from distinct, often culturally remote settings. 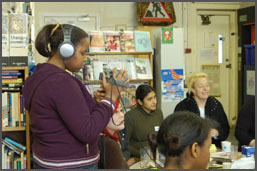 Women Make History (part of GWL’s ‘Living Histories’ programme) intersects with our other key strand of action, learning and creative work ‘Active Citizenship’ (encouraging women’s political agency). Together these form the current core Lifelong Learning opportunities at GWL.